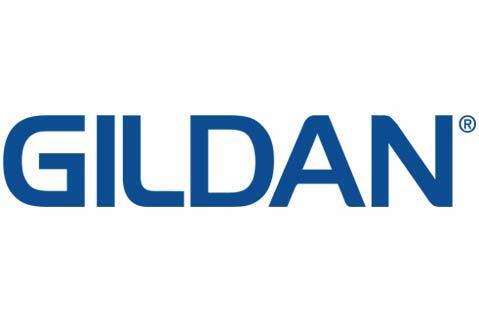 Gildan Activewear (asi/56842) has secured U.S.-based contractors to make fabrics and sew garments for key American Apparel styles offered to the wholesale market, which includes the promotional products industry, a company spokesman told Counselor on Monday. At the same time, the Montreal-based apparel maker will also leverage its global manufacturing capabilities to produce certain American Apparel styles abroad, creating less expensive offerings that will be able to compete better for the business of price-conscious end-buyers. “We will have American Apparel product that is made in the USA for customers who value that aspect of the brand’s heritage, and we’ll also have a more price-centric American Apparel collection that will allow distributors to target customers who are more focused on price than made-in-USA,” said Garry Bell, Gildan’s vice president of marketing and communication. Additionally, Bell said that Gildan plans to open an office in Los Angeles and hire some marketing and merchandising employees from American Apparel. Such moves, Bell said, will help Gildan maintain the unique, trendy marketing tone and brand image that helped give American Apparel its appeal. “It’s all part of remaining true to the distinct heritage of the brand,” said Bell, adding that it was yet unclear how many marketers and merchandisers from American Apparel will join Gildan. Noting that the Los Angeles office should be operational by mid-March, Bell said that Gildan sees significant potential to grow American Apparel’s wholesale business in North America and overseas. “We’re hearing a lot of demand from abroad – Australia, New Zealand and more,” said Bell. Going forward, Gildan expects to soon have fully integrated American Apparel’s customer service, web platforms and product distribution into its printwear operations. Bell said much of the integration has already occurred, adding that transactions through the American Apparel wholesale website should be occurring by mid-March. Currently, distributors and apparel decorators keen for American Apparel items can purchase product from authorized dealers, including alphabroder (asi/34063), TSC Apparel (asi/90518) and others. Authorized dealers will continue selling the line in addition to Gildan selling directly. While Gildan has a clear plan for its wholesale American Apparel business, the picture on how to handle the iconic brand on the retail side of things remains murky. “We have not made final decisions on how we will bring the brand to consumers,” said Bell. Earlier in February, Gildan cemented the $88 million acquisition of American Apparel’s brand and certain assets, including some equipment. The deal closed about a month after Gildan won a court-supervised auction for the formerly Los Angeles-headquartered clothing maker, which filed for bankruptcy in November. Gildan did not purchase American Apparel’s retail stores or manufacturing/distribution facilities. At its zenith, American Apparel – which made manufacturing in Los Angeles a central element of its operations and brand image – earned more than $600 million in sales. Gildan has said the brand is expected to bring in between $50 million and $75 million this year. Last week, Gildan announced that it increased net sales 8.1% in the fourth quarter of 2016, while full-year sales ticked up 0.6% to nearly $2.59 billion. Adjusted net earnings also accelerated in 2016, advancing to $356.3 million, or $1.51 in adjusted diluted earnings per share – a 3.4% jump over $1.46 in 2015. For 2017, Gildan expects net sales in its printwear and branded apparel segments to each increase in the high single-digit range. If you are interested in the USA Made American Apparel to promote own business, or to get a sample, email info@proformagreen.com for information and pricing.